Summer in Barcelona is a special treat for party lovers, since it has a series of crazy festivals and events that will keep you entertained. To make the most of your BC bar tour, check out the best festivals in town according to our list! If you’re into electronic music and DJ sets, check out Sónar festival in June. The event has a strong cultural influence with contemporary art performances, record fair, multimedia shows and urban art displays during the day. In the evening, SónarPark and SónarPub feature the best DJs of the planet with concerts all night long in many different venues. Plan your trip and book your tickets in advance, this popular festival can get quite crowded, especially the concert venues. For a top world music experience, don’t miss the Cruïlla music festival in July. 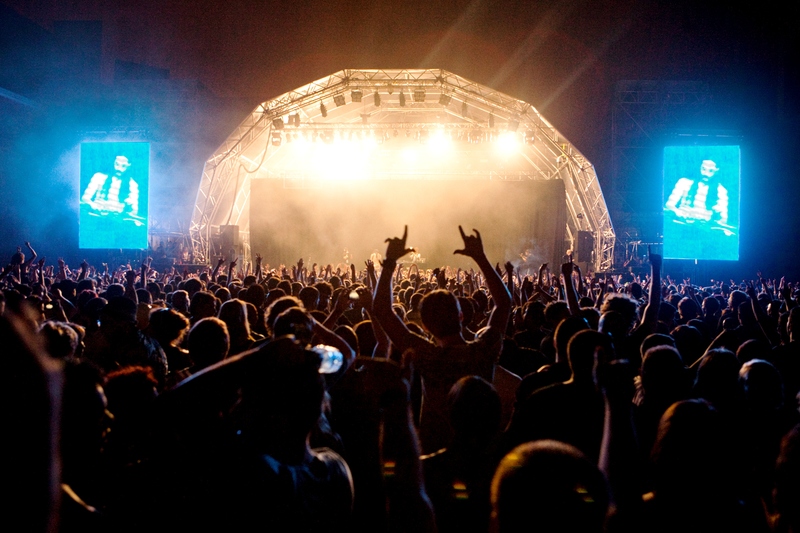 The event moved to Barcelona in 2008 and it features pop and rock bands, electronic music and some very special invitees from Africa and Jamaica. The event has world famous headliners and some fresh performances to offer you a unique selection of styles and genres. Tickets are available online and in ticket offices around town. If you’re into Latin tunes and Spanish music, check out the San Miguel Mas i Mas Festival during the summer months. The concerts have all genres from pop and rock to some international names, with Spanish language bands and South American performances included. It’s a good place to get acquainted with new tunes and dive into a different culture. Like all major cities in the world, Barcelona has its very own gay pride event that is celebrated in the summer. The ten day long festival has talks, meetings, shows, concerts and parties to celebrate LGBTQ community and to invite all for a nice fiesta. Street parties and processions are the biggest hit of the week. As you can see, there’s a lot to do in the city in the summer, with parties and concerts all over the season. Barcelona is a city for all, so come and enjoy the Mediterranean party mood. To get you into the fiesta feeling ASAP, book a Barcelona pub crawl with us!